Can custom-made tube boxes packaging improve sales and promote performance improvement? Yes, custom design reflects the packaging design, and the basic function of each package is performed at best, for the profit of business promotion. And consider the packaging manufacturer as a qualified collaborator, can do ultimate in every detail, the production of packaging quality is the best. 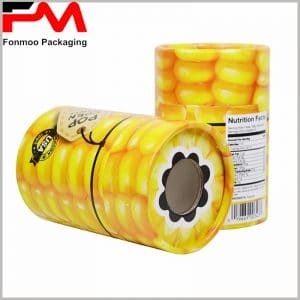 fonmoo Packaging has its own well-established production system and packaging design team and has produced dozens of series of round wrappers, including facial mask packaging, to perfectly help you with any problems you encounter in custom packaging. For you to show this big cardboard box packaging, moisturizing mask packaging, and after reading it, you can never forget. This packaging design is reflected in the details, the use of the blue sponge inspired splash, and sparkling crystal detail magnified, highlight the mask “deep sea mineral water extraction” product concept, for the pursuit of natural skin care spending is very great attraction. Regardless of packaging lid, or the main cylinder, are based on the sea and the sky as the main body. In the back of the package main pattern, it is manual. The instruction manual is different from most tube packaging. The background part is different from the main pattern. The white background and the text description make it clear that there will be no other impurities when reading the mask instructions. Although it is a large cardboard packaging carton, but the pursuit of high quality, to ensure that every mask packaging factory are of high quality. This is just one of our display packaging, we can also provide you with more styles and categories of custom cardboard tube boxes packaging, you just need to tell the specific needs, we will be able to provide you with multiple packaging solutions.